New year, new you! 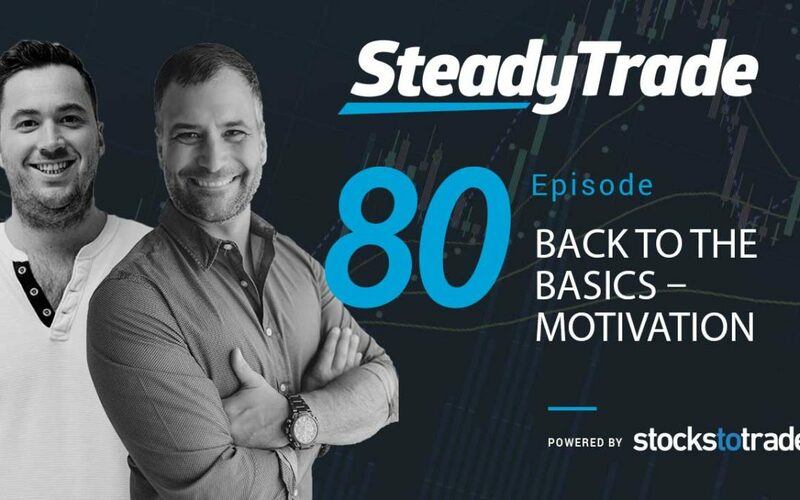 The beginning of a new year offers the promise of self-improvement in the year ahead, and the SteadyTrade Podcast wants to help make it your best trading year yet. This episode is the first in what will be a monthly series for the podcast: Back To the Basics. Some of our listeners have expressed an interest in reviewing some of the basics of trading, and we’re listening. Every month, hosts Tim Bohen and Stephen Johnson will review some basic concepts to help you maintain a strong trading foundation. This feature is perfect for new traders, and even seasoned traders will benefit from a refresher. Today, Tim and Stephen address a topic that’s timely at the beginning of a new year: motivation. Recognize that it’s hard. Tim concedes that short selling penny stocks used to be a lot easier because it used to be a smaller niche that few traders knew about. With a rise in popularity of using this method of trading, there have been some positive changes, like it’s easier to find borrows. However, the competition is greater, and this can make trading more challenging. This shouldn’t be a deterrent, however. Rather, traders can use this to their advantage to stay motivated to study hard and gain an edge in the market through greater education! Social media lies. Most of us are aware that social media platforms like Facebook are like a “best-of” reel of people’s lives. But did you know that the same phenomenon happens in the trading world? It can be tempting to believe traders who claim that their methods never fail, or to follow whatever the hottest trader on Twitter has to say about a stock. However, it’s important to know that social media only tells part of the story. Tim and Stephen talk about striking the right balance with following social media, using it as an invaluable resource for information and leads, but never letting it discourage you or sway you into trading decisions that are not your own. Look at where you can improve. As Stephen admits, in the past year, a big contributing factor to his trading losses was that he “aimlessly went with things.” He didn’t have a plan, and he didn’t have a targeted strategy. As Stephen explains he’s learned, it’s important to have a 5-year plan, a 1-year plan, and then to break it down into 1-month plans. From there, you can review and see if you achieved what you needed to. A trading diary is key here. By keeping track of what you do on a daily basis, you can revisit your notes and continue to improve. Beware FOMO. Be calm. Chill out. Those should be your mantras when it comes to trading, according to Tim and Stephen. Many traders are guilty of making rash moves in the heat of the moment. Tim and Stephen talk about certain predictable phenomena with stocks that occur during different times of day that can help you remain calm in the face of temptation. You’ll learn why when most traders are salivating about a hot play, it’s usually the perfect time to exercise restraint. Make rules and stick to them. Stephen talks about how one of his problems is actually sticking to the rules he knows he should stick to. Most mistakes that traders make are the result of breaking their trading plan. You know what to do, and you know how much it can hurt to break them. Let your own trading plan act as a source of motivation and accountability! Tim wants Stephen (and you, dear listener) to do this: Every day, commit to watching at least 5 minutes worth of video lessons on discipline from David Goggins or Jocko Willink. It just might change your life! Thanks for tuning in to the SteadyTrade Podcast. Stay tuned for weekly episodes featuring the hottest topics for aspiring traders! 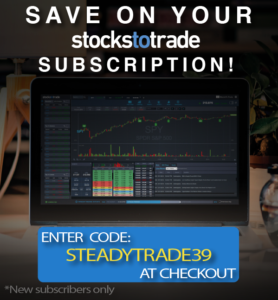 Want to try StocksToTrade for a week? Stephen and Tim use this platform to scan the market for trades every day– try it out here! Did you love this episode? Be sure to leave an iTunes review! Really enjoy your podcast. I’m very new to trading (Challenge student) Going to make a point to work your podcast into my education. Thanks.